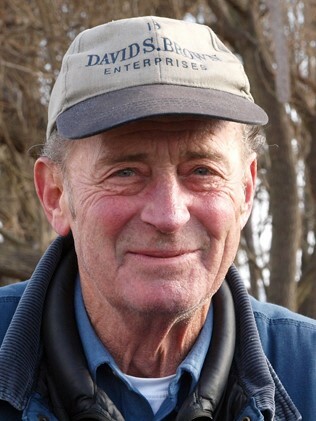 Dale Turner Large, 80, of Taneytown, MD, died peacefully on Saturday, April 13, 2019 at Carroll Hospital Center in Westminster. Born January 17, 1939 in Abingdon, VA, he was the son of the late Lawrence Huston and Nina Gladis (Fleenor) Large. He was the husband of Brinda (Blankenship) Large to whom he was married for 48 years. Dale was a Maintenance Technician with David S. Brown Enterprises in Owings Mills for 19 years. He was an independent beekeeper for 40 years. Dale enjoyed flower gardening, vegetable gardening, writing poetry, and watching NASCAR racing. He also enjoyed crabbing, and at one time owned his own crab boat. He had a heart for animals and flowers, and was an avid beekeeper to the end. He loved working, and helping people along the way in life. Surviving, in addition to his beloved wife Brinda, are his children, Ronnie Large of KY, Donnie Large of VA, Maria Wolfe and husband Jon of GA, Charles “Chucky” Large of Washington, D.C., and Robert “Bob” Large and wife Mia of Keymar; siblings, Estelle Hulse and husband Ray of FL, Norma Nunn of CA, John Large and wife Barbara of PA, and Kanie Large of TN; grandchildren, Kristen, Lauren, Ryan, Taylor and Shelby; and many nieces and nephews. He was predeceased by siblings, Fred, Marvin and Dolores. A funeral service will be held at 12:30 p.m. on Thursday, April 18, 2019 at MYERS-DURBORAW FUNERAL HOME, 136 E. Baltimore St., Taneytown, MD with the Rev. Jim Crocker officiating. Entombment will follow at Evergreen Memorial Gardens in Finksburg. The family will receive friends from 10:30 a.m. until the time of the service at the funeral home on Thursday. In lieu of flowers, memorial contributions in Dale’s name may be made to the American Cancer Society, 1004 N. Juniata Street, Hollidaysburg, PA 16648.